Protein kinase C (PKC) was discovered in the late 1970s as a lipid-regulated protein kinase activity (Nishizuka 1995) and was subsequently found to be ubiquitously expressed in eukaryotic tissues. PKC quickly captured the attention of the biomedical research community in a big way with the realization that it was a major target of the tumor-promoting phorbol esters (Castagna et al. 1982) and was therefore likely to be a central player in cellular transformation and cancer. In the intervening years, phorbol esters became key research tools for exploring PKC function in a variety of systems. 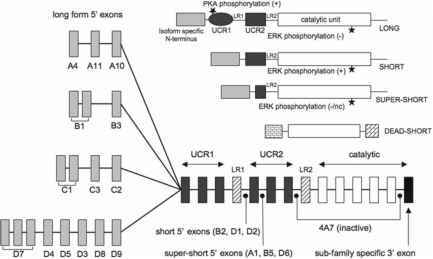 Intense interest in PKC led to the identification and characterization of a family of related PKC isoforms with variations on the theme of lipid-regulated protein kinases (Bataini and Mochly-Rosen 2007). By comparison to other well-known protein kinases such as cyclic AMP-dependent protein kinase (PKA), the substrate specificity of PKCs appeared to be considerably broader. This in turn led to the discovery of a number of scaffolds or anchoring proteins that were hypothesized to provide specificity in PKC signaling by targeting the active kinase to preferred substrates (Mochly-Rosen 1995; Jaken and Parker 2000). Predictably, this may have led to a downplaying of the importance of membrane-resident lipids in targeting PKCs to critical locations in the cell. It is now well recognized that membrane lipids are heterogeneously distributed throughout various cellular organelles and even within microdomains in a given organelle (i.e., lipid rafts) (Dibble et al. 1996; Sando and Chertihin 1996; Corbin et al. 2007; Escriba et al. 2007). It is therefore likely that lipids and proteins cooperate to determine both subcellular localization and function for many of the PKC isozymes. Modern systems biology techniques have also revealed that PKC substrate specificity may not be as broad as early studies suggested (Fuji et al. 2004). An integrated understanding of substrate-recognition motifs combined with targeting mechanisms including roles for lipid microdomains and protein scaffolds will almost certainly provide the most biological insight into the PKC signaling system and its roles in health and disease.